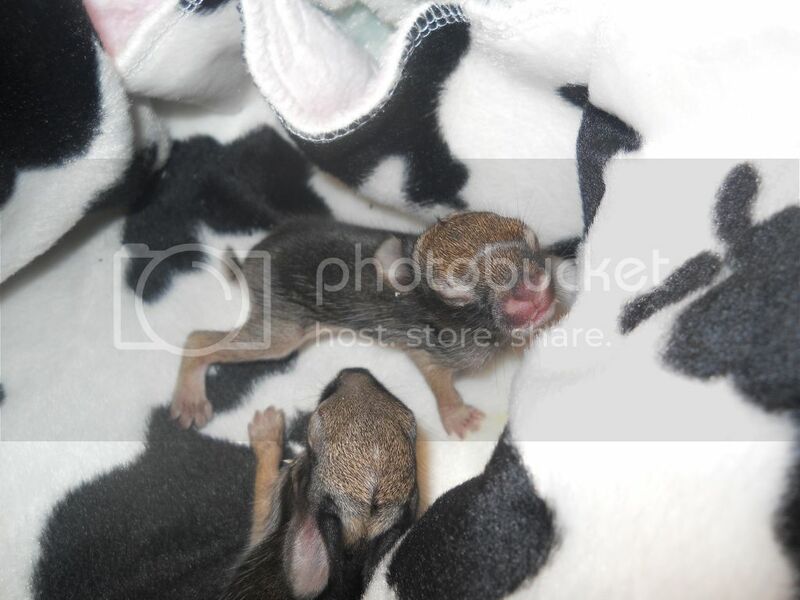 10 days ago my roomate brought home 2 newborn(1-3 day old range) bunnies. Apparently some kids found them in an empty lot and decided to play with them and they couldn't tell her exactly where they had found them so she tried to guess and waited about 4 hours then checked again and the bunnies were still there and they seemed to be fading away so she brought them home and we have been raising them since. We called all the rescues around us but everywhere was full and couldnt take them. So we called a few vets and they told us exactly what we needed to do. We have been feeding them KMR mixed with heavy cream, probiotics, bunny poo(yes sounds gross buts its need to give them good bacteria), and colostrum. We fed them twice a day(bunnies in the wild only nurse their babies twice a day for about 5 minutes) then helped them go to the bathroom by wiping them with a wet cottonball. They are cute but man they were difficult to get to eat- it would take about 40 minutes each time because they had lost their sucking abilities I believe. 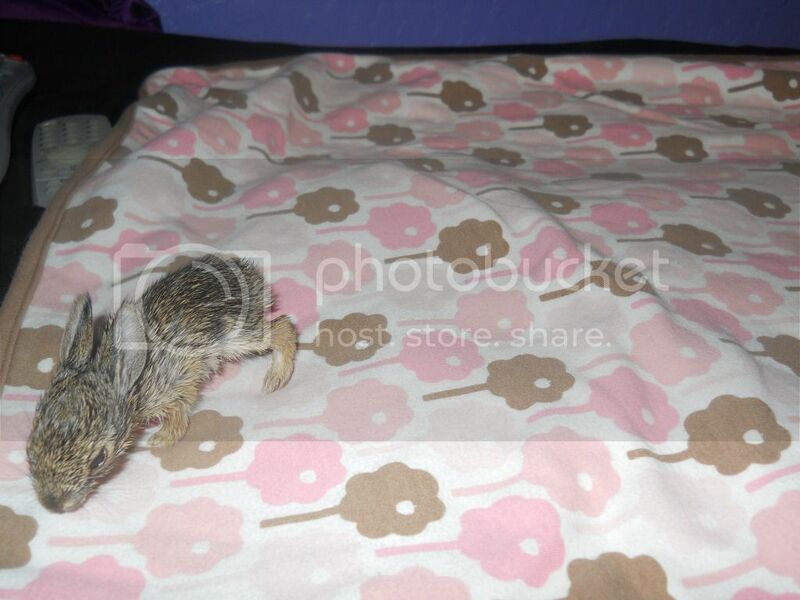 We wiegh them twice a day and they are slowly(very slowly) gaining weight and are seeming to be very healthy. They have grown alot of fur, opened their eyes a few days ago, and are becoming very active little cuties. Yesterday we put wild grass and plants in their cage and they instantly knew what to do and started chowing down. They are now licking up their own food too (we put their formula on a little plate). They are doing so great- which suprises me because most sites did not give me hope that they would live. 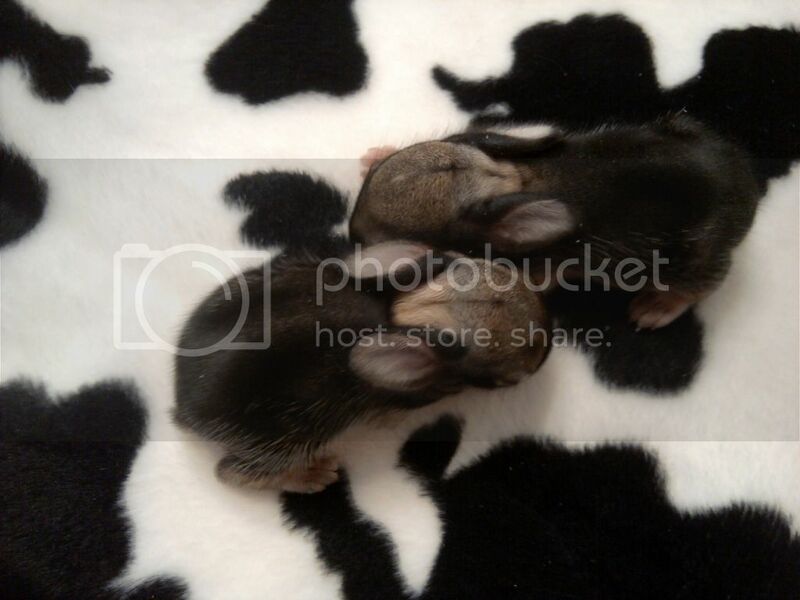 While they are living with us we thought it only fair to name them- meet Hop and Thumper! Start offering grass/dandelion leaves etc. A full grass bottom changed numerous times a day is good for them. It is surprising they lived with just the 2 feedings a day with being so young. 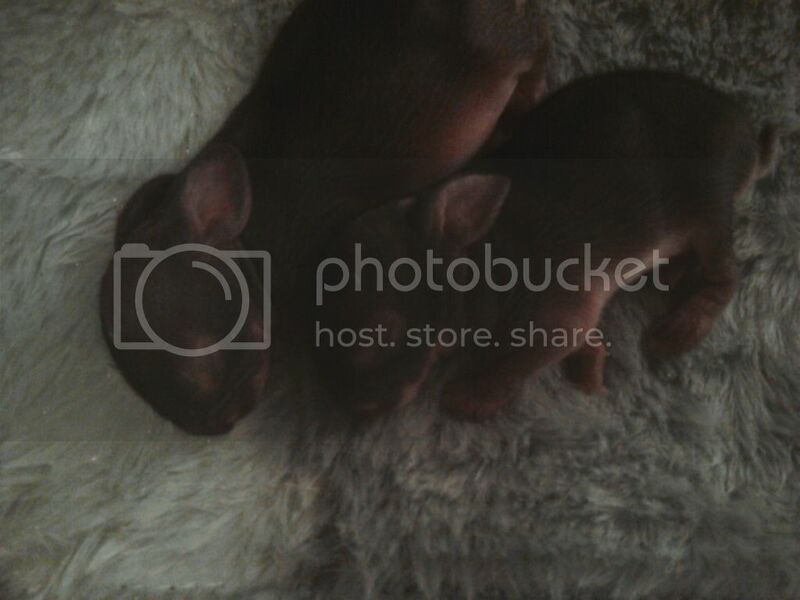 I've raised numerous litters of baby bunnies and with any animal what we can supply is so much poorer then what mom supplies. Actually if you look it up or talk with any vets you'll find that the number one cause of wild baby cottontail rabbits dying is overfeeding. You are supposed to only feed them twice a day because that is what wild cottontail rabbit mothers do. Because I am adding in heavy cream, probiotics, bunny poo, colostrum, and now wild grass and plants they are actually getting a good diet for a growing wild baby cottontail rabbit. 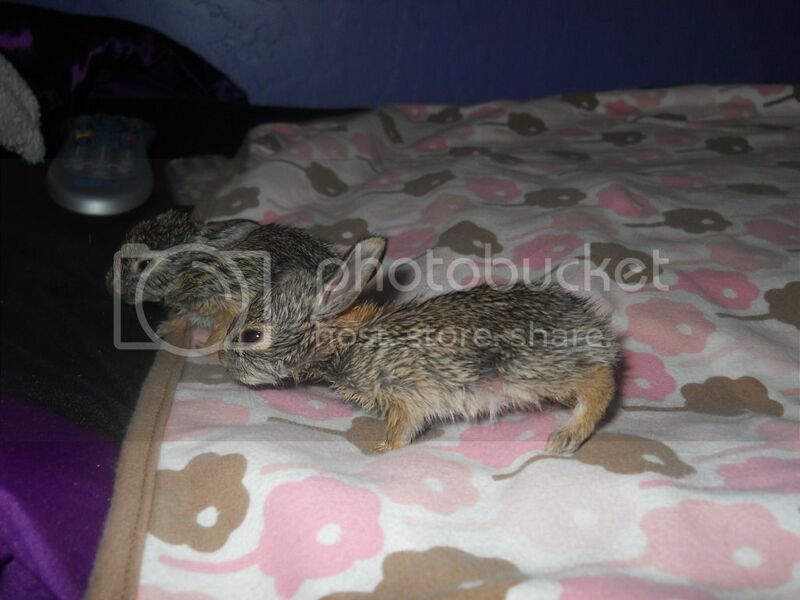 Raising a wild cottontail rabbit is way different then raising a regular domestic rabbit. I have raised numerous litters of wild cottontails, not domestic bunnies, for a number of years. Most vets have no experience with raising wild neonate animals. Omgsh, these little guys are so cute. Good thing they have someone is knows/learned what they are doing to help them. Quality Cage Sets and more! Serving the exotic pet community safe affordable bedding since 2005! To help them "wild up," make sure that they are separated from people/pets/noise as much as possible. Handle them SILENTLY and ONLY to feed/clean. Add LOTS of grass/dandelion/clover now; a teensy bit of fruit to nibble (apple, a very small amount of carrot) and you can toss in a handful of uncooked Old-Fashioned Oats (oatmeal). When they get to about 90 grams of weight, you can generally stop the formula. They no longer need any help with pooping/peeing; and they are probably getting sticky from the formula in the dish (I stopped doing that years ago; after all, they would never have access to that in the wild) so you may want to stop that. What are the weights now? 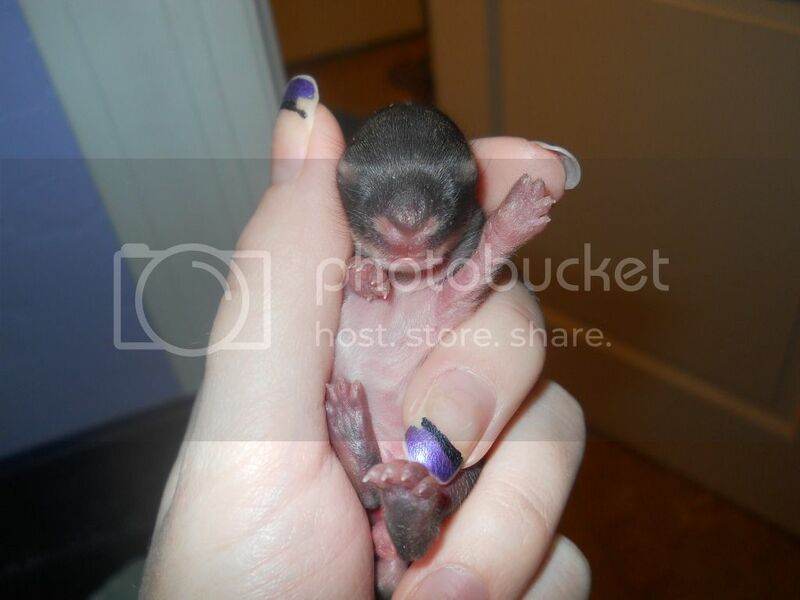 BTW; I'm a licensed wildlife rehabilitator who specializes in wild bunnies. I miss you and love you Teddy Ratsevelt and Benny. Thank you for being my heart rats.